75% of the $5.3 BILLION in annual flood damage is from floodwaters less than 3′ deep. The FLOODWALLS system can be deployed by volunteers and emergency response personnel in less than 2 minutes per foot. Sandbags take over 50 times longer. Save your share of the Billions of dollars of property damage losses, every year for the next 20 years or more. – Assorted shovels, wheelbarrows, tools, etc. Floodwalls are designed to provide both temporary and permanent protection against flooding. This unique design is used in many cities and businesses throughout Europe and the United States. Our product is robust with ISO 9000 and ISO 14000 certification. 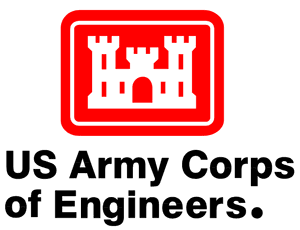 WE have been tested by the USACE as a Rapid Deployment Flood Prevention system. HUD has approved our product as a flood emergency system for retirement homes and villages in flood prone areas. We are environmentally friendly as floodwalls can be cleaned and stored after use for up to ten years of use. Our cost for flood protection is much less than traditional sandbags because of the continual use for many years. We are able to manufacture custom units to meet any specification needed for flood protection. Our standard units have a height up to six feet and lengths from six feet to sixty five feet. We have units in use up to one hundred feet. We will meet all your needs for flood protection with professional service and a lasting flood protection product.